Shelby Chiropractic has offered Cincinnati chiropractic patients the ultimate in chiropractic care for a quarter of a century, and being in practice for so long has allowed us to develop long-term relationships with our patients and their families. We are honored to be the chiropractor in Cincinnati that people send their kids and grandkids to! Dr. Sky Shelby says, “Our office exists to serve our patients in a courteous, professional and kind manner, and to promote regular preventative care so our patients may enjoy a lifetime of good health.” Chiropractic care can often help where other health care options have failed. If you’re sick of tired of being sick and tired, chiropractic may be the answer. Not all chiropractors take the time to listen to all the details of your story; but we do. Every detail is a piece of the puzzle that can help us find the solution to your health concerns. Give us a call today so we can listen to your story and help you get started on the path to wellness. Great office and staff! 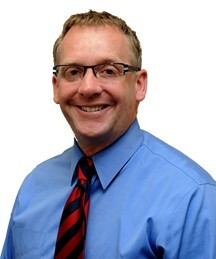 Dr Shelby is personable and very good at what he does! Health and wellness articles published by Dr. Sky Shelby, Cincinnati Chiropractor. Subscribe now.